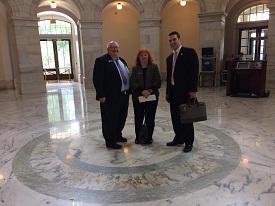 Ports-to-Plains had our annual Washington Fly-In April 25 – 27 and spoke to our congressional delegation about the importance of the corridor for our region, and the country. By and large our members of Congress understand this and are supportive. However with the overwhelming amount of legislation and information they deal with, it is important that we meet with them to update them on our progress and raise their awareness of our efforts. A big thanks to everyone who travelled to Washington with us. 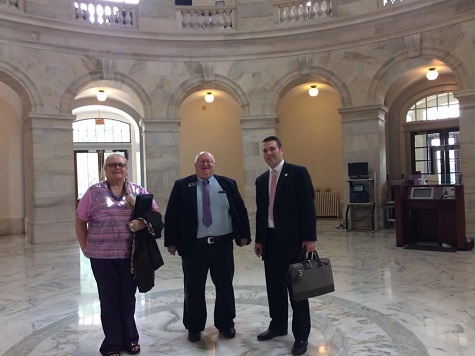 We kept everyone running across Capitol Hill as we met with 19 congressional offices, 15 senate offices and staff from the house and senate committees that oversee transportation. The entire PTP region was well represented as our group consisted of 17 people from six different states and Alberta. Looking ahead to June, please see information in this newsletter about the upcoming Energy and Ag Summit as well as the second round of public meetings for the Texas Freight Mobility Plan. The Summit is in Denver this year and we are assembling a very interesting and informative program, and it is a great networking opportunity. And I cannot stress how important it is to have a great turnout at the Freight Plan meetings. We are building great momentum for the extension of Interstate 27 and this is a critical opportunity to elevate this as a priority for TxDOT. Your participation really makes a difference! Please clear your calendar and plan to attend the meeting nearest you. According to the Texas Freight Mobility Plan, “By 2040 over 73 percent of Texas’ population and 82 percent of the state’s employment is projected to be located within five miles of an interstate. Alliance member participants represented Texas, Colorado, Nebraska, New Mexico, North Dakota and Alberta and included Christine Allen (TX), Coby Beckner (NM), Daniel Bennett (NE), John Bertsch (TX), Lane Carter (TX), Chris Cornell (TX), Dan Dean (NE), John Friess (TX), Beverly Haggard (CO), Duffy Hinkle (TX), Nathan Johnson (NE), Joe Kiely (CO), Cal Klewin (ND), Michael Reeves (TX), Jack Schenendorf (DC), Cathy Shull (CO) and Jay Slemp (AB). In addition to meeting with U.S. House of Representatives Committee on Transportation and Infrastructure Staff representing Rep. Bill Schuster (PA) as chair, House visits were made with the offices of Jodey Arrington, Mike Conaway, Henry Cuellar, Will Hurd and Mac Thornberry from Texas; Ben Lujan from New Mexico; Frank Lucas from Oklahoma; Ken Buck, Mike Coffman, Diana DeGette, Doug Lamborn, Ed Perlmutter, Jared Polis, and Scott Tipton from Colorado; Jeff Fortenberry and Adrian Smith from Nebraska; Kristi Noem from South Dakota; Kevin Cramer from North Dakota; and Montana House Office formerly held by current Secretary of Interior Ryan Zinke from Montana. 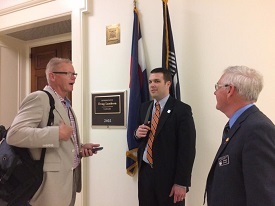 In Senate office meetings, including U.S. Senate Committee on Environment and Public Works Staff representing Senator John Barrasso (WY) as Chair, the Alliance members visited John Cornyn and Ted Cruz from Texas; Matt Heinrich and Tom Udall from New Mexico; James Inhofe and James Lankford from Oklahoma; Michael Bennet and Cory Gardner from Colorado; Deb Fischer and Ben Sasse from Nebraska; Mike Rounds and John Thune from South Dakota; John Hoeven and Heidi Heitkamp from North Dakota; and Steve Daines from Montana. When it comes to infrastructure, there is the Groundhog Day discussion about fixing the Highway Trust Fund that we have carried to Washington DC year after year and currently two new additions to the discussion: President Trump’s $1 trillion infrastructure plan and tax reform, which gives new hope for solutions. Our messaging in Washington DC during the April Fly-in and your messaging when a member of Congress is in your community should be the same. We urge Congress to increase infrastructure investment BUT ONLY if Rural America receives its fair share. • We support a big increase in infrastructure investment over ten years. The Trump proposal, however, is flawed in that it relies entirely on public-private partnerships that do not work in rural areas; public funding must be added to the proposal. 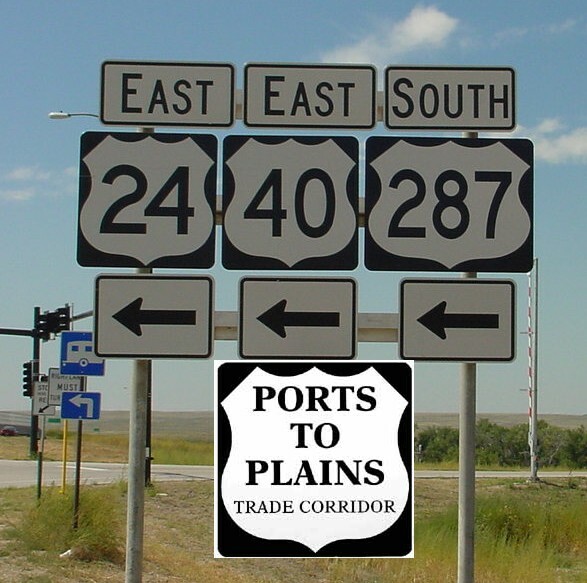 Emphasis should be given to upgrading antiquated two-lane rural highways--like the Ports-to-Plains Alliance Corridor--that traverse multiple states, are critical to energy development and agricultural production, connect to international border crossings, and are needed to safely connect rural towns and communities to the 21st Century economy. If Congress identifies specific projects for funding, we urge Congress to include the Ports-to-Plains Alliance Corridor as one of the identified projects. As discussed in the next section, the Ports-to-Plains Corridor is a rural corridor of national significance and it is in the national interest to include it in a major infrastructure investment package. We urge Congress to fix the Highway Trust Fund (HTF). A long-term, sustainable fix for the insolvent HTF is a priority. The tax reform bill and/or the infrastructure bill are potential legislative vehicles. Congress must get the job done. We support increased HTF user fees and/or new HTF user fees to ensure no increase in the deficit or debt. And we have pledged to publically support members of Congress who make the tough vote to increase user revenues to pay for increased infrastructure investment and fixing the HTF. We urge Congress to fix NAFTA, not end it. Agriculture relies on exports, and Canada and Mexico are America’s two top export markets. 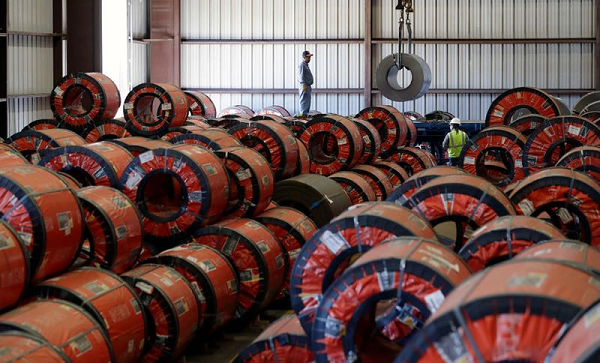 Congress should carefully evaluate the impact of any trade legislation on U.S. exporters. Since we are talking national transportation funding, the Ports-to-Plains Corridors across our nine-state region, is a strong example of a rural corridor that can meet multiple national priorities. Tell your Senators and Representatives why Ports-to-Plains Corridors are deserving of federal funding. Ports-to-Plains is comprised of three congressionally-designated “High-Priority Corridors” extending from Mexico to Canada through America’s Heartland. After $2 billion in federal and state investment over the past 15 or so years, almost 55% of the corridor has been upgraded to four-lane or better highways. The remaining 45% has not yet been upgraded and consists of two-lane, antiquated roadways that cannot safely and reliably handle today’s traffic demands, much less future traffic demands. These roadways were not designed to carry the number of trucks, especially heavy trucks, currently being experienced up and down this corridor. Moreover, these roads are not geometrically designed to accommodate the large trucks being used today by the energy and agricultural industries. The Ports-to-Plains Corridor serves America’s energy heartland, from traditional resources like oil and gas to renewable resources like wind, solar and biofuels. Development of these resources is critical to America’s energy security. Agriculture plays a very large role in the Ports-to-Plains region. The region’s vast acreage and sparse population allows for large amounts of land to be dedicated to agricultural land use and activities. The movement of agriculture products from the primarily rural areas across the Ports-to-Plains region to urban domestic markets and to export markets on the coasts or on the Canadian and Mexican borders requires infrastructure investments to connect production to consumers. A strong Federal interest is required to ensure the agriculture resources can safely and efficiently reach domestic and global markets. The Ports-to-Plains Corridor services major international border crossings including Del Rio, Eagle Pass and Laredo between Texas and Mexico, and Sweetgrass/Coutts, Wild Horse and Raymond/Regway between Montana and Canada and Portal/North Portal between North Dakota and Canada. There has been much discussion about unleashing America’s economy, creating millions of new jobs, and boosting economic growth—especially in areas of the country that have lost jobs, including small towns and rural areas along the Ports-to-Plains Corridor. Upgrading the Corridor to a four-lane divided highway will have a positive economic impact, create jobs, and foster economic growth up and down the corridor. The north-south Ports-to-Plains Corridor lies between two highly-congested, north-south interstate highway corridors—Interstate-35 to the east and Interstate-25 to the west. The cost of trying to relieve congestion by expanding capacity on these routes is enormous. And the cost of doing little or nothing is equally enormous in terms of lost productivity, reduced economic growth, lower quality of life, and sheer frustration. The Ports-to-Plains Corridor can be a cost-effective part of the solution. Upgrading the corridor to a modern four-lane, divided facility would cost a small fraction of the cost of improvements to I-25 and I-35. Once upgraded, a significant number of trucks are likely to divert to the Ports-to-Plains Corridor rather than sitting in congestion on I-25 or I-35. This will help to relieve congestion on these routes. 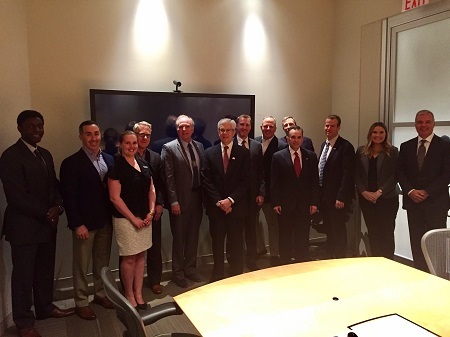 TransCanada recently hosted Ports-to-Plains President Michael Reeves, Montana Lt. Gov. Mike Cooney and US Consul General in Calgary Tom Palaia at their Calgary headquarters for a tour of their Oil Control Center where the company monitors their extensive network of oil and gas pipelines throughout North America. The Oil Control Center is staffed 24 hours a day, seven days a week using state of the art technology. Highly skilled pipeline controllers manage the sophisticated monitoring equipment, which connect to local control systems at each facility via satellite and other communication technologies to receive data every five seconds from thousands of sensors across the system. These sensors monitor and can detect very small changes in pressure, temperature, flow rate and other indicators. Each year, TransCanada invests approximately $1 billion on pipeline maintenance, safety and inspection programs. Ports-to-Plains has been a strong supporter of the Keystone XL pipeline that will deliver oil from Alberta to refineries at the Texas gulf coast. It received its presidential permit earlier this year. TransCanada is currently seeking approval from the State of Nebraska for its route through that state, the final state permit needed before construction can begin. Follow this link for more information on Keystone XL’s safety practices. The trade partnership with Mexico is the lifeblood of many communities along the Texas-Mexico border, including El Paso, Del Rio and Eagle Pass. Take for instance Laredo, the sixth largest metropolitan port complex in the U.S. by value. NAFTA is responsible for 99 percent ($121 billion dollars) of the trade that flows through each year. These goods, more than half of all U.S.-Mexico surface trade, flow straight up and down the NAFTA superhighway of Interstate 35 to San Antonio and beyond. In 2015, Texas-Mexico trade amounted to approximately $94.5 billion, making Mexico Texas' largest trading partner, surpassing the next four largest combined - Canada, Brazil, China and South Korea. President Donald Trump said he’s willing to raise the U.S. gas tax to fund infrastructure development and called the tax-overhaul plan he released last week the beginning of negotiations. Trump released a tax plan April 26 that would cut the maximum corporate tax rate to 15% from the current 35%. The same reduced rate would apply to partnerships and other “pass-through” businesses. He said he is willing to lose provisions of his tax plan in negotiations with Congress but refused to specify which parts. 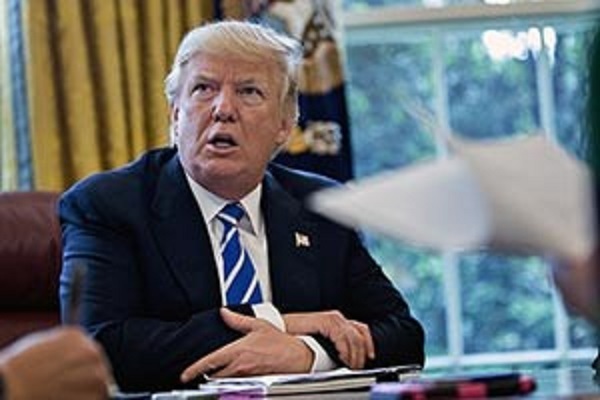 He also repeated his call for a “reciprocal tax,” which would be aimed at imposing levies on imports to match the rates that each country charges on U.S. exports. 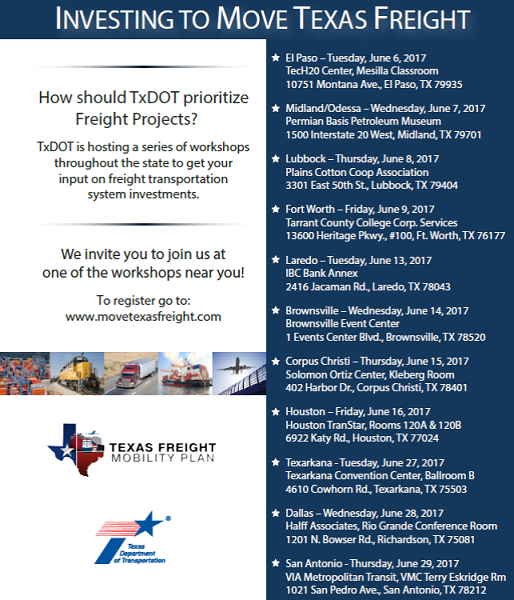 TxDOT is hosting the second round of public meetings to get input on which freight projects it should prioritize in its updated Texas Freight Mobility Plan. Throughout the Ports-to-Plains Corridor meetings are scheduled in Midland Wednesday, June 7, in Lubbock Thursday, June 8 and in Laredo Tuesday, June 13. “It is very important that we have a good turnout at each of the meetings in our area and let TxDOT know that improving the Ports-to-Plains Corridor and extending Interstate 27 are top priorities for the region,” said Ports-to-Plains President, Michael Reeves. “This is a critical opportunity for us and can be a significant boost to our efforts to extend I-27. TxDOT released the first Texas Freight Mobility Plan in 2015. The plan is a guide for the Transportation Commission and the department as they select projects that promote freight movement in the state. 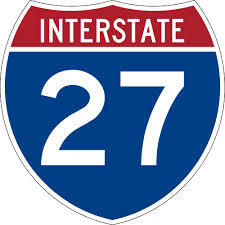 That plan identified the Ports to Plains Corridor as a significant freight corridor in the state, and said that the Transportation Commission should consider extending Interstate 27. TxDOT is updating the plan to make it compliant with the federal transportation authorization bill “FAST Act” that was enacted after the Freight Plan was adopted. TxDOT will release the final updated Texas Freight Mobility Plan later this year. 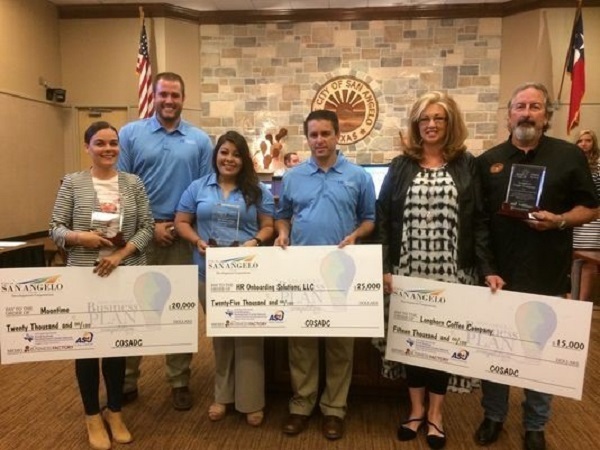 The 2017 San Angelo Business Plan Competition recognized and lauded the dreams, ideas and efforts of three local entrepreneurs. All three will divvy up $60,000 in cash prizes. HR Onboarding Solutions, a human resources tech business started three years ago, won the $25,000 top prize. Owner Brent Jameson, who has 20 years of experience in human resources and technology, was judged to have the best business plan among the 41 entrepreneurs who entered this year’s contest. "It was an amazing experience ... just to know how to develop a plan, to grow our business. And what’s exciting is that San Angelo has put so much time and effort and resources into growing the economy here," he said. "I hope that all the winners and all those who participated will continue to grow their plan, to grow their business." HR Onboarding Solutions provides customized systems, including online processes and electronic forms that integrate into customers’ software. Jameson first developed the web-based HR system while working at Multichem. w he is expanding into the educational arena. HROS has developed an online student registration system for Texas Leadership Charter Academy. "They have (more than) 2,700 students across four locations in Texas and they complete paperwork every single year for all their students," Jameson said. One of the exciting things about traveling the Ports-to-Plains Alliance Corridor is seeing the economic development benefits of the increased number of travelers along the corridor. Over the past couple of years, small towns have seen new hotels and truck stops… Dumas, TX; Stratford, TX; Boise City, OK; Eads, CO and Brush, CO have all seen this type of growth and there are others. The question that is often asked is, what can we do to get even more economic benefit? Our member, the Town of Limon, found one way to create a community vision designed to increase the economic benefit of its highway corridor as well as its quality of life. Limon, a town with a population of under 2,000, rests at a highway hub where five major highways come together including the Ports-to-Plains Corridor and Interstate 70. This small town, once bypassed by Interstate 70, has seen significant economic growth over the years including numerous truck stops, hotels, restaurants and convenience stores. Yet, the town continues to evaluate its potential and found that many of the travelers had no idea of the destinations available off the town’s highway interchanges. Despite reaching about 80,000 lodging nights a year, most visitors never explored the rest of the town to find out what was there. Few recognized the cultural experience of the Limon Heritage Museum, the recreation opportunities offered by the Tamarack Golf Course, swimming pool, and fishing pond or the entertainment options of a historical movie theatre, bowling alley and local restaurants. When Limon updated its Comprehensive Plan in 2014-15, it focused on economic development. The local citizens recognized the value of the transportation system including the Ports-to-Plains Corridor, but also recognized that they could still do better. As a result multiple goals in the Comp Plan addressed the need to explore ways to provide the visitors a better understanding of what this small town had to offer, in the short and long term, and ways to encourage those travelers to #ExploreLimon. CLICK HERE to view or download the Comprehensive Plan. These goals led the Town to apply on a national basis to host a Citizens’ Institute on Rural Design (CIRD). The CIRD program is sponsored by the National Endowment for the Arts, USDA-Rural Development, Project for Public Spaces and Orton Family Foundation. Limon was one of seven (7) communities across the nation to be selected from the 52 applications. Following eight months of preparation, the CIRD workshop was held over a three-day period, February 27-March 1, 2017. The Workshop included presentations focusing on wayfaring/signage and development of bicycle/pedestrian trails, but the majority of time was spent with community members creating visions for these two topics. The community was joined by National and State Resource Teams which brought significant expertise and energy to the small community. To see the final report, please CLICK HERE. There are some great ideas included in the report for small community implementation. For more information on CIRD, CLICK HERE. As a result of the CIRD Workshop, the State Resource Team opened an even larger door to explore and implement not only the visions for wayfaring/signage and bicycle/pedestrian paths but many of the other projects included in the Comprehensive Plan. The State Resource team has offered to host another project funders meeting to hear Limon’s “Grand Plan” and make commitment for funding a variety of long term community projects. The transportation system continues to be a huge catalyst for accomplishing any of the goals and objectives defined during the planning process. Without that transportation system, it is hard to picture Limon’s economy and quality of life. That is one reason for Limon’s commitment to the Ports-to-Plains Alliance. Limon’s economic plans are not limited to increasing and improving the visitors’ numbers and experience. You will see in the Comp Plan that the community is also supporting of efforts to recruit primary jobs. During the same period Limon was granted the authority to operate a Foreign Trade Zone and continues to look to provide a base for manufacturing, assembly and distribution. Rural communities need to find ways to create the vision of their community for the future. Hanging on to the status quo is not vision. If you have questions, please contact Joe Kiely, who serves Ports-to-Plains Alliance as its Vice President of Operations (719-740-2240 – joe.kiely@portstoplains.com).